Margaret Atwood at the PEN Center USA's 27th Annual Literary Awards Festival on Oct. 27, 2017 in Beverly Hills, California. Photo: Tara Ziemba/WireImage via Getty Images. 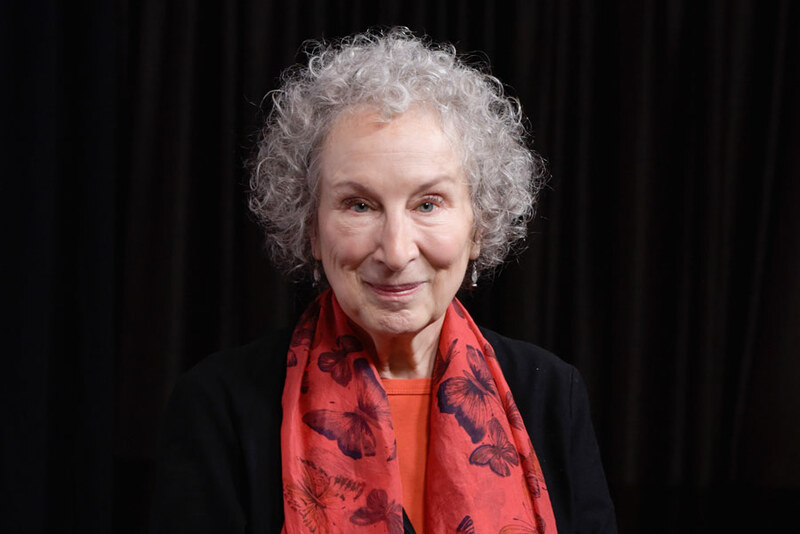 It looks like Margaret Atwood is headed to Gilead once again. 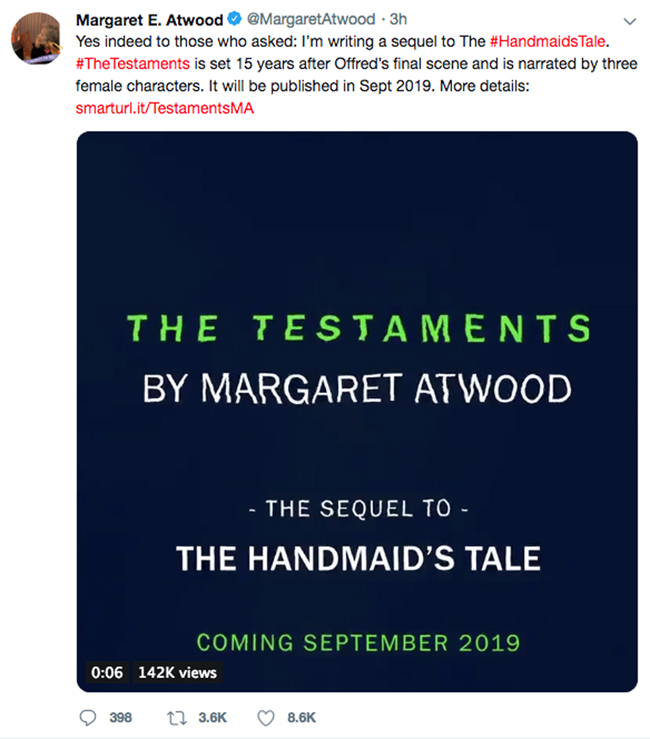 The Testaments is set 15 years after Offred’s final scene in The Handmaid’s Tale and will be narrated by three female characters. Originally published in 1985, The Handmaid’s Tale was shortlisted for the 1986 Booker Prize and has sold more than eight million copies globally in the English language. Longtime Atwood devotees and fans of the Emmy-winning Hulu series starring Elisabeth Moss will recall that The Handmaid’s Tale is set in a not-so-distant future in which the United States has been replaced by an oppressive government that forces fertile women to bear children. The novel has returned on the bestseller list in recent years thanks, in large part, to the acclaimed TV adaptation, which is expected to return for a third season next year. The Penguin Random House Canada press release also notes that The Testaments will not be connected to the TV series or any of its new plot lines. The sequel will be the 79-year-old’s first novel since the Shakespeare-inspired Hag-Seed was published in 2016. The Testaments will be published on Sept. 10, 2019.